More power, more functionality - that describes the new CANopen Library 4.5 and the CANopen Design Tool 2.3 best. Whether new included modules, more supported platforms or faster program development: A look at the latest generation of our proven CANopen software is worth it! The CANopen extension module CiA 305 (Layer Setting Services) is now included in the library. In addition, the storing of the object directory by many new functions was simplified. This means shorter development time and faster time -to-market. With the version 4.5 you will receive more for the money! Various modules have been extended and adapted to the current versions of the CiA standards. This applies in particular to the standards CiA-304 (Safety), CiA-301 V4.2 and CiA-307 (Flying Master and redundancy). 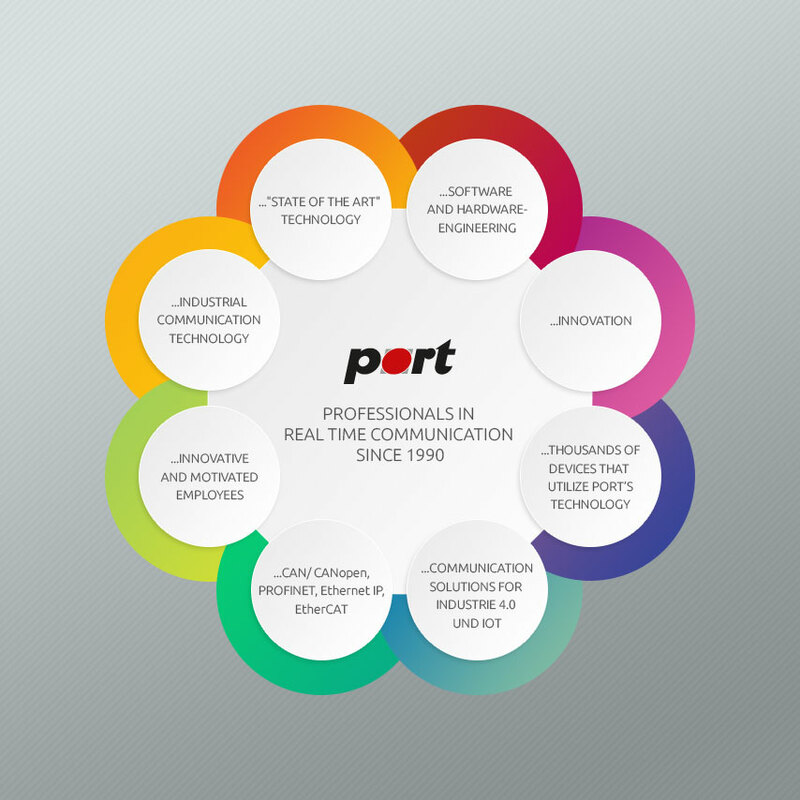 With port GmbH libraries so you always meet the current standard. MISRA C is the coding standard in the embedded world. With version 4.5, the MISRA C 2004 compatibility of the library has been further improved. The CANopen Library 4.5 has been consistently optimized for processing speed down. In particular, the work with the object directory has been made even easier. The CANopen Library 4.5 supports (as well as with the previous version 4.4) over 100 different microcontroller/CAN controller and CAN platforms. Thus almost all relevant and actual microcontroller platforms are supported. You now have the freedom to choose your platform - software is no longer the limiting factor. a successful and valuable tool for development of CANopen applications (devices). The version 4.5 of the new CANopen Library is fully supported. The object dictionary as source code can be generated along with the device EDS file using prepared Device Profiles. Standard CiA-301 and CiA-302 network communication profiles are included.